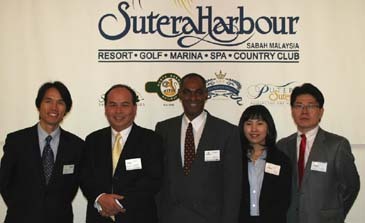 Mr. Ravi Kathiravelu (center), Sutera Harbour Resort's chief operating officer, poses for camera with its Sales & Marketing Director Eugene Yau (second from left), and Mr. Hue Kim (left), CEO of Uniholiday Co., Sutera's business partner, at Sutera's press conference held at the Westin-Chosun Hotel on April 14, 2008. Second from right is Ms. Sabine Heo, Sutera's marketing director, and to her right is Henry Kim, its sales manager. Kota Kinabalu located on the northwest coast of the Island of Borneo facing the South China Sea is fastly emerging as a new travel destination. It boasts of 4,095-meter Mt. Kinablu, the hightest mountain in Southeast Asia, crystal-clear blue seas off South China Sea. In Kota Kinabalu travelers can enjoy both seas and mountain and the area is free from such natural disasters as earthquake and Tsunami. It is also safe from terrorist attacks or the dangers of war. In its efforts to promote already-famous Kota Kinabalu, Sutera Harbour Resort, the largest resort group in the area, came all the way to Seoul for a presentation in front of some 100 local travel agents, tour operators, and media people. 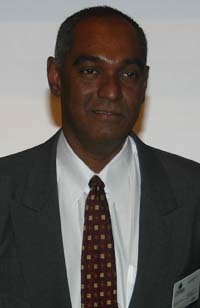 Mr. Ravi Kathiravelu serves as the chief operating officer of the Sutera Harbour Resort in Kota Kinabalu. 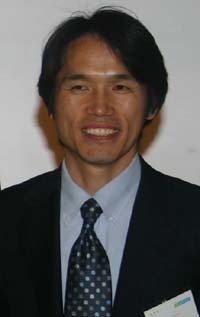 The presentation was made during the luncheon gathering held at the Westin-Chosun Hotel on April 14, 2008. Mr. Ravi Kathiravelu, the resort's chief operating officer, and its Sales & Marketing Director Eugene Yau were attending the event. They were on sales mission in South Korean and Japan from April 16-20, 2008. For Mr. Yau it was his first trip to South Korea. Such local tour and travel companies as Hana Tour, Mode Tour, Lotte Tour were presented with a plaque of appreciation. Mr. Kathiravelu greeted each of the plaque receipients. He also delivered a speech for the gathering. Following the award ceremony Mr. Yau made the presentaion for about 30 minutes. Mr. Hue Kim, CEO of Uniholiday Co., Sutera's business partner, was also present. Mr. Kim leads Sutera's representative office in Korea. During the presentation Mr. Yau announded that "2008 Gold Card System" had been launched to better serve Korean visitors to Kota Kinabalu. The card-holders can enjoy the benefits of 10 percent discount on spa, golf, hair and nail art, and sea sports. Mr. Hue Kim, CEO of Uniholiday Co. is Sutera's business partner. The resort even hired a Korean chef with plenty of experience for the Korean visitors who want to enjoy foods similar to the ones back home. In addition, six Korean staff are now helping Korean customers with language and other needs at each resort. During the presentaion Mr. Yau announced four new products — "Ms. Columbus," "Silk Princess," "North Borneo Train," and "Helicopter Tour." "Ms. Columbus" is a steamboat or steamship tour on which quality family dinner is recommended. This product will be introduced in July this year. "Silk Princess" is a luxury steamboat particular for upsacle partygoers. The product will be on the market in early 2009. On the "North Borneo Train," a steam locomotive or a nostalgic steam train will take the customers all the way back the era of British colonial rule of Malaysia. The train will be in service in September this year. For "Helicopter Tour" four seater and six seater are already in operation. It will provide riders with bird's eye view of Kota Kinabalu and Tunku Abdul Rahman National Park. This helicopter tour is highly recommended for the honeymooners. Nestled between the shores of the South China Sea, fronting the tropical islands and the majestic Mount Kinabalu, is the grand expanse of Sutera Harbour Resort. The 384-acre resort provides a spectacular array of activities from its luxurious five-star hotels, championship golf course, marina and recreational facilities, with future development of premier condominiums and bungalows. The elegant business setting of the Pacific Sutera Hotel is complemented by the resort ambience of the Magellan Sutera Hotel, offering a total of 956 guest rooms and suites of luxurious comfort. 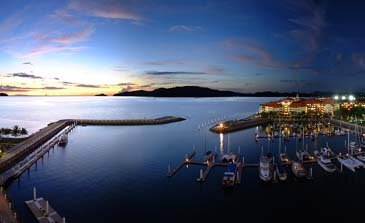 Ideally located ten minutes from Kota Kinabalu International Airport and within close proximity to the shopping and business districts of Kota Kinabalu, the capital of Sabah, Sutera Harbour Resort is the premier lifestyle resort destination of Asia.